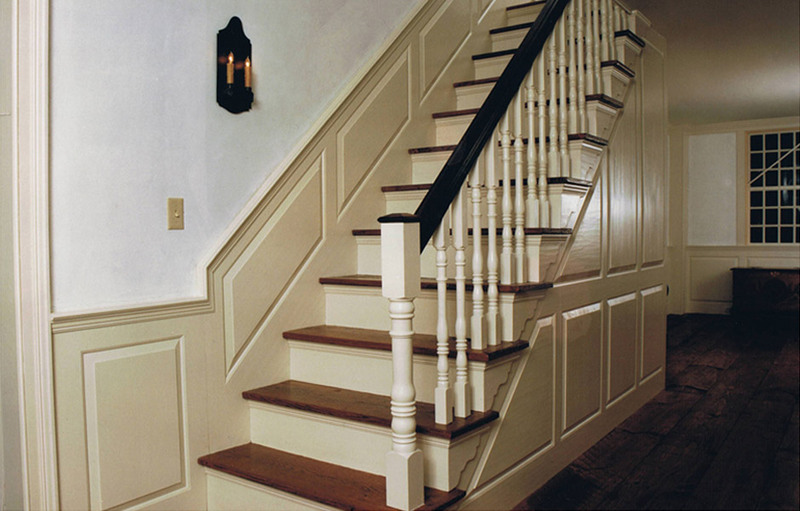 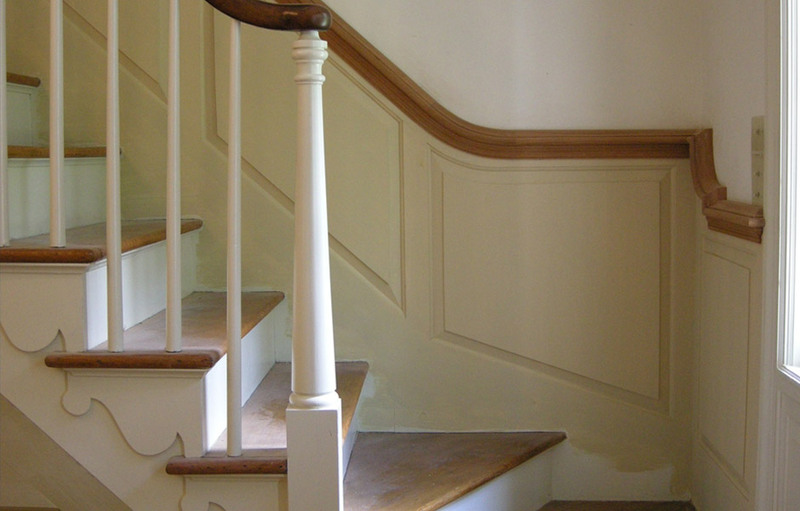 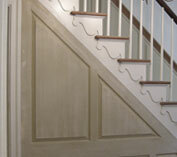 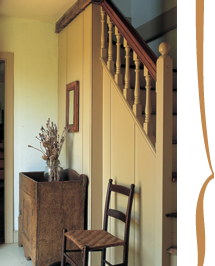 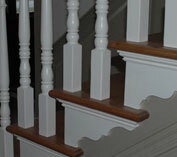 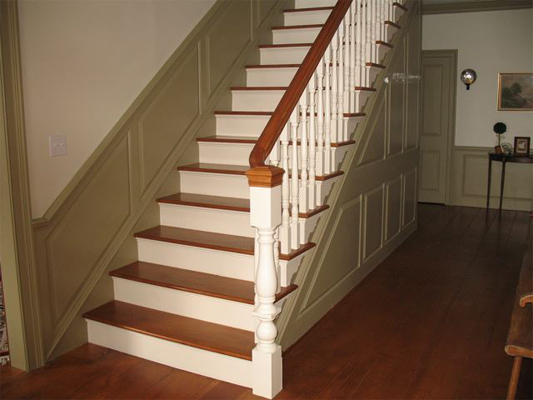 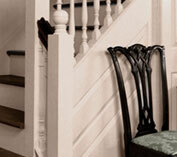 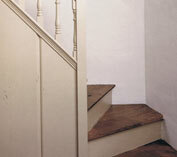 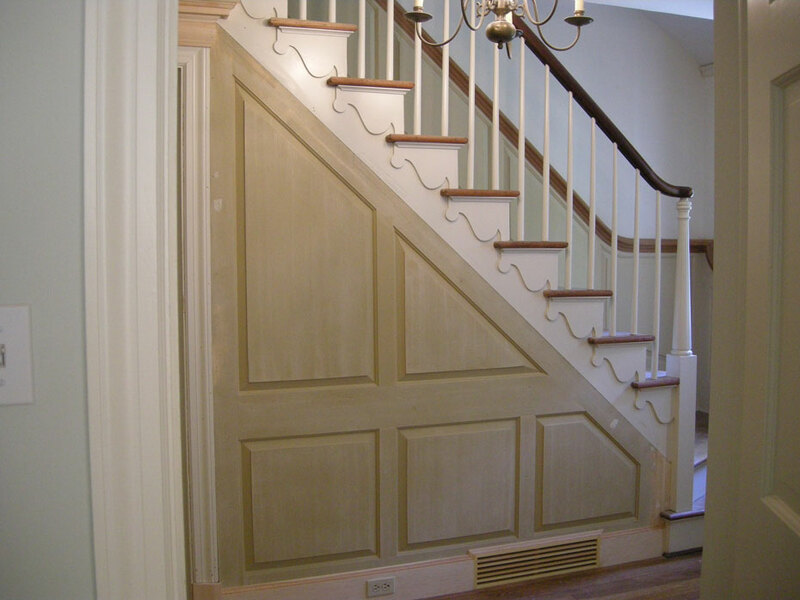 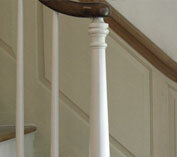 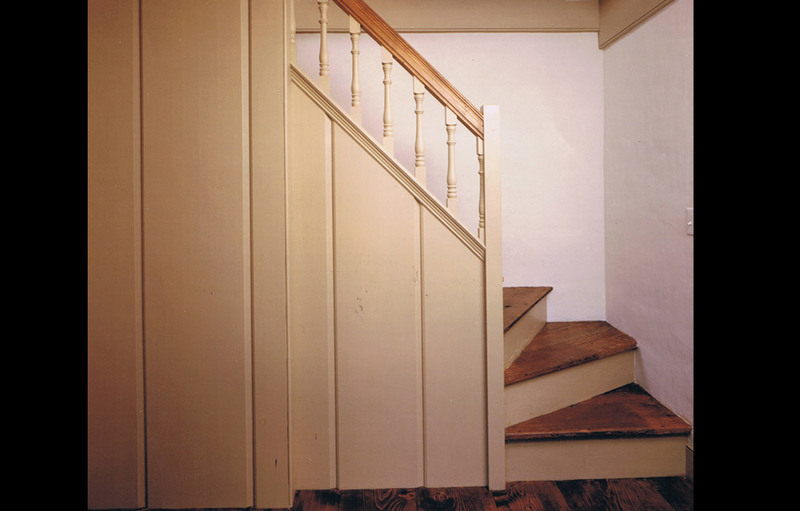 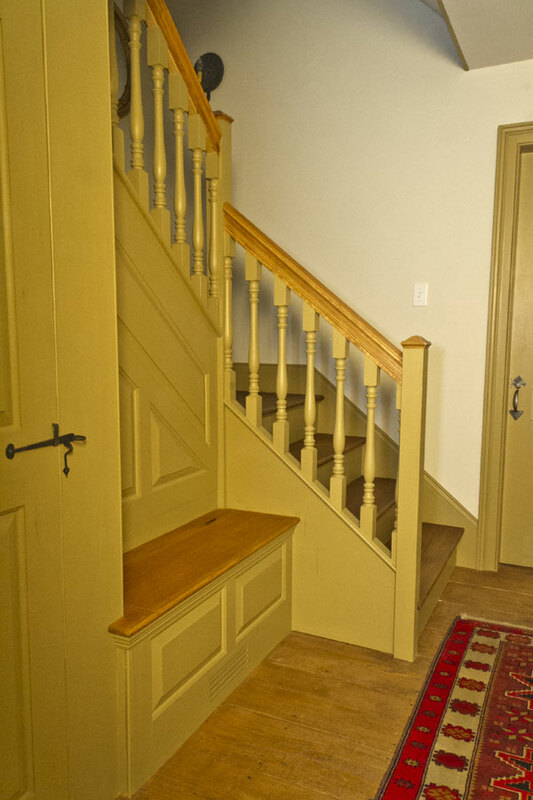 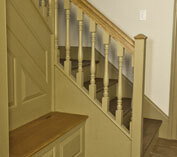 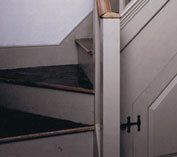 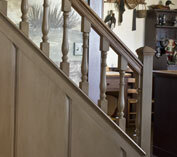 An authentic entrance to a special home ..
We detail the 18th century staircase in simple or elaborate treatments. 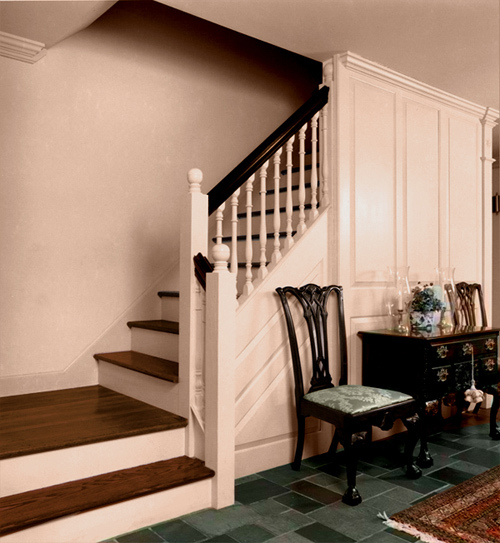 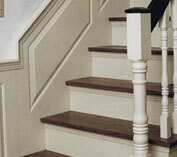 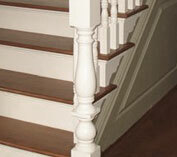 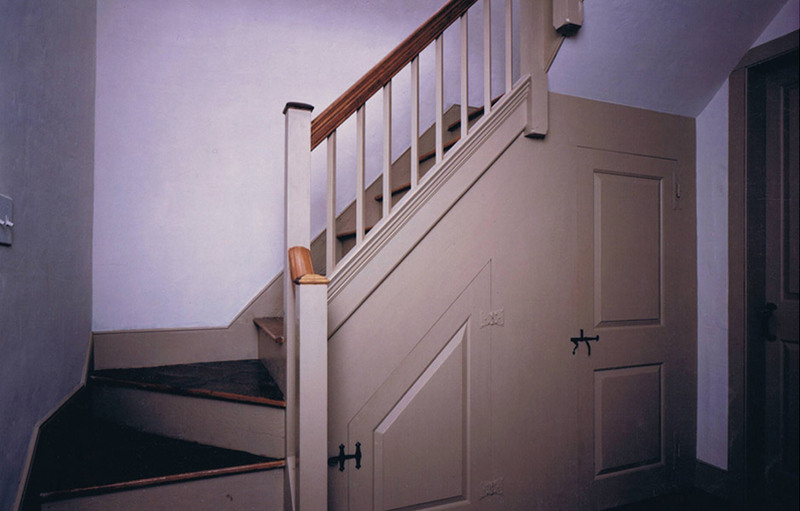 Based on the finest examples found in early New England homes. 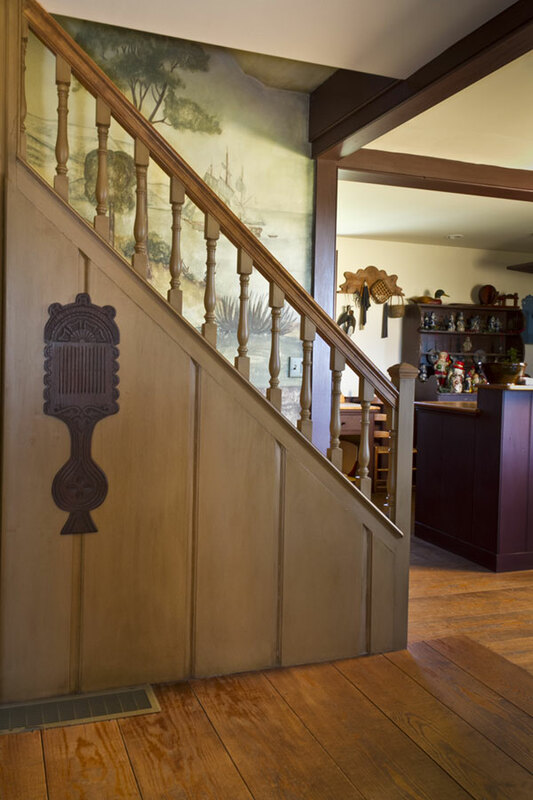 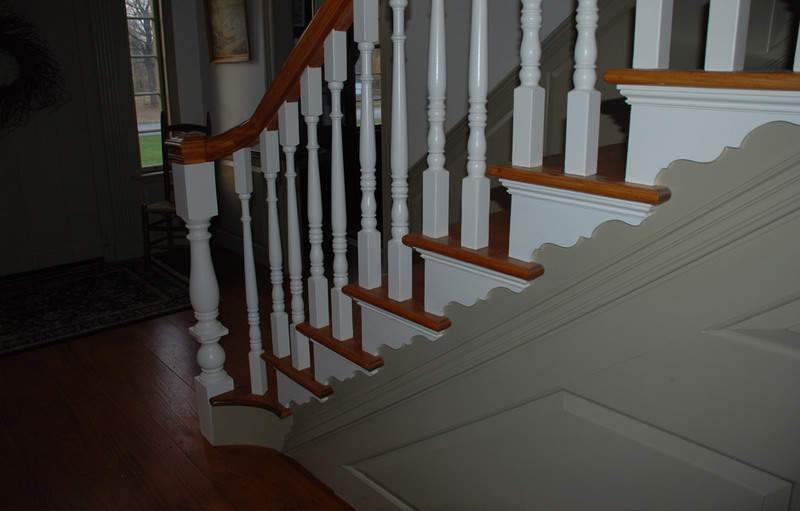 With hand carved balusters, raised paneling and scroll bracket detail, the result is a beautiful piece of woodwork providing your home with an entry of very special interest.